ESTIMATED READING TIME: 7 MINUTES 45 SECONDS. Original post was published at Consciously Digital blog. Actually, the cost of digital distractions is high. They can result in decreased productivity, poor decision making, lack of creativity, and increased stressed for employees. Some researchers calculated that an average company loses $10,790 per employee every year on digital distractions. Even brief interruptions can eat up to 40% of our productive time, and about 60% of work-related interruptions happen because of technology (incoming emails, notifications etc). 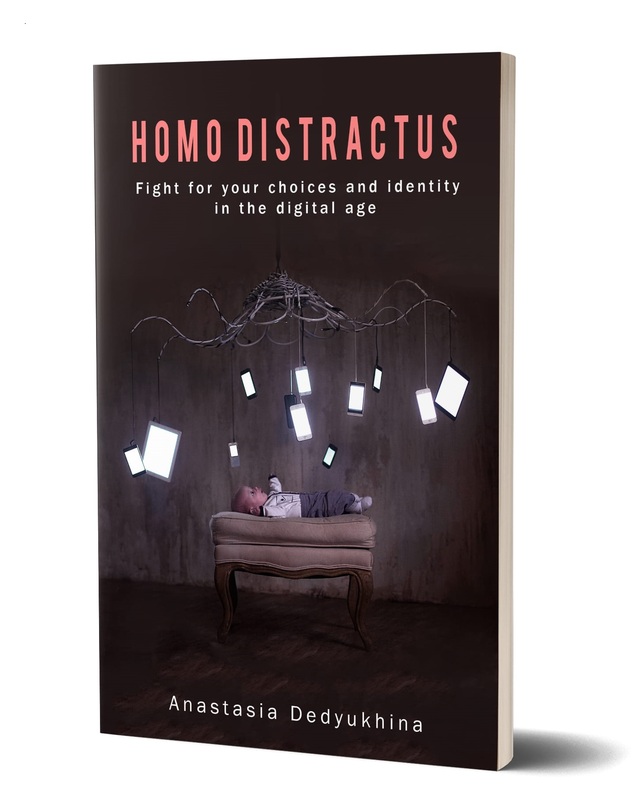 PS Anastasia talks more about the cost of “always on” in her new book, Homo Distractus: Fight for your choices and identity in the digital age. To pre-order the book, register here. Anastasia is a public speaker, book author, Huffington Post blogger and entrepreneur. She gave up her senior international career in digital marketing in London together with her smartphone when she realized how dependent she has become on the gadget. She founded in 2015 Consciously Digital, a consultancy helping people and organizations have healthier relationship with technology. She is an author of Homo Distractus: Fight for your choices and identity in the digital age (more on the book www.consciously-digital.com/book). Anastasia is a frequent commentator to the press, including BBC, The Guardian etc.